The Phoenix Wright: Ace Attorney Trilogy has finally made its way to the PlayStation 4, and as the name suggests it comes with three games in one – the original game and its two sequels “Justice for All” and “Trials and Tribulations”. A collection of Phoenix Wright’s cases, this bundle is an amazing deal and a great way for newcomers of the series to experience the story that everyone raved about on the Nintendo DS. Even though this is not the first time the trilogy has been brought to different consoles, its release on the PS4 allows those who only have a PS4 to enjoy this fantastic visual novel. Back again with the exciting investigations and trials, we follow Phoenix Wright, a defense attorney whose aim is to prove his clients’ innocence through performing effective cross-examinations and presenting decisive evidence in court. Across all 14 episodes included in this collection, we meet new people, reunite with old friends, and learn more about the stories the characters bring to the game. The games are set up so that each episode is a different case, and we cannot proceed with the next case until the current one is solved. Even though the episodes have a separate storyline from one another, there are some links that tie them together and show the game is still following a timeline. The idea is the same for all three games in the trilogy: Each game has different cases, and each case has two phases – the investigation phase and the courtroom phase. These two phases will help us uncover the truth behind the crime. Within a limit of three days as per the game’s rules, we must find all the clues and information we need, use our wits to prove the defendant’s innocence in court, and at the same time find out who the real perpetrator is. During the investigation phase, we gather clues and evidence to help support Phoenix’s clients to prove that they are innocent. There is a lot of talking (meaning, lots of reading) involved, and there will be moments where characters will refuse to say anything to us until they are given something they are interested in. The investigation ends when we have gathered the relevant pieces of evidence required. After the investigation phase, we enter the courtroom phase. The trial takes place then, and the witnesses will be called to give their testimony. It is during the testimony that we have to look for statements contradicting the evidence we have gathered in our investigation phase. We can “press” the witness for more details, and we can object to their statements by presenting evidence that goes against what they have said. There is a gauge that decreases each time an irrelevant piece of evidence is presented, so we cannot randomly guess what to show. 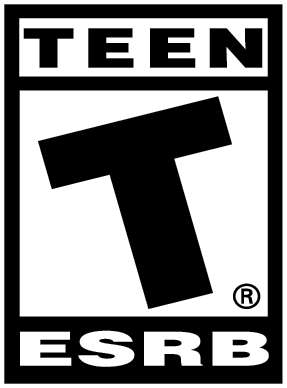 The games rely heavily not on the player’s gaming knowledge and experience, but on the player’s ability to piece together information and clues they have at their disposal. 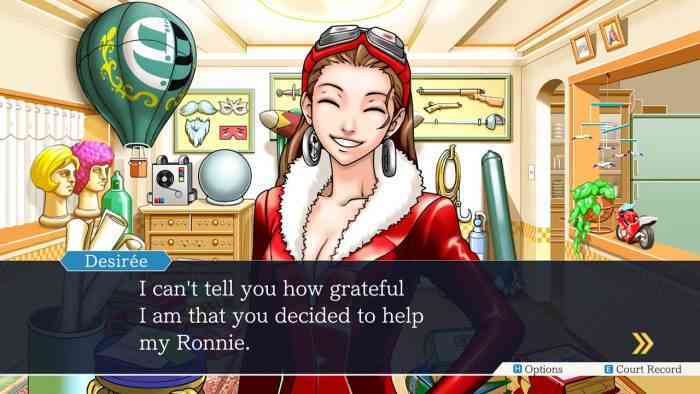 As the Phoenix Wright series is mainly a visual novel adventure, expect a lot of reading, a bit of thinking, and sometimes risk-taking when presented with questions during the trial. There is always an opportunity to save after each phase and also a multitude of save slots for you to pick from, so make sure you utilize those. If you make a terrible mistake in the courtroom, know that you may fail the case and will have to restart at your last save. Unfortunately, this also means you will have to go through all the text and pick all the right things again to get back to the part where you made your mistake. Along with the same colorful character designs and over-the-top reactions, the trilogy does an excellent job of keeping the game visually attractive for the PS4 release. It manages to keep its designs fairly sharp even on a large widescreen TV, with characters looking the way they did years ago except a little more polished and smooth. The sound effects are just as fun, with the famous “Objection!”, “Hold It!”, and “Take That!” quotes ringing a familiar tune. Even the dialogue box has been updated with a different font and style, making it look almost like a new game. Being over a decade old, Capcom’s ability to transform the game to appeal to the modern-day audience is worth applauding. One of PlayStation 4’s minor limitations is having to use the analog sticks to look for evidence in the game. While this is understandably the only way to make the game work for the console, it can be a little slow when dragging your pointer across the screen. Of course, nothing beats being able to point and click and/or using a touch screen to look around a room for evidence, which are functions that the PS4 does not have. Thankfully, this does not take away from the overall experience of the game, but it is worth noting for those curious with how the game will work on this console. While the trilogy presents three brilliant visual novels that are easy to pick up, they are unfortunately hard to replay a second time. This is because the story does not change, and playing the game again means you already know who the culprit is and where to look for clues. Nothing new is introduced either, and everything falls into place in the same way. Luckily, with the game being pretty old, it seems I had minor amnesia for some of the cases so I had some fun with it again. There are also random trophies that you can earn as well, with some silly accomplishments like learning all the lunchbox specials sold by one character or answering the wrong name in court. With the Phoenix Wright games being a visual novel adventure and relatively easy to learn, it is suitable for a wide range of audiences, even for those who have never held a game controller before. The stories only progress when the player comes to the right conclusions, challenging our intellect and powers of deduction. While the cases may not be long, it is exciting, packed with many twists and turns, and brings you mysteries that make it all worth solving. With the release of the trilogy on the PS4, it is a great way for the series to reach more people and a hopeful sign that there will be more coming.